Sooner or later, someone who struggles with sexual identity will show up at your door. Please pay attention, listen with an open mind and an open heart, and show compassion. 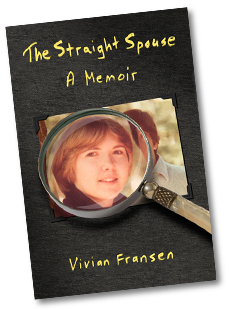 In the growing number of coming-out stories, the straight spouse always gets short shrift. Developing empathy for the person who is married to someone who turns out to be gay often takes a back seat to the drama of their partner’s journey in resolving his or her sexual identity. Such straight spouses are more likely to be regarded as clueless idiots lacking “gaydar” (a supposedly innate ability to detect someone is gay), victims of a master imposter/scam artist spouse, co-conspirator secret keepers, or punch lines of a bad joke. So please be part of the solution, not part of the problem, in embracing sexual diversity. This meme concludes the launch of my first series of memes as conversation starters on social media (namely, Facebook and Twitter) with messages that are relevant to the subject matter of my memoir this month, which marks the one-year anniversary of my book’s release (image credit for these 5 memes: Pexels.com). What do you think?